The signs of Christmas are everywhere. 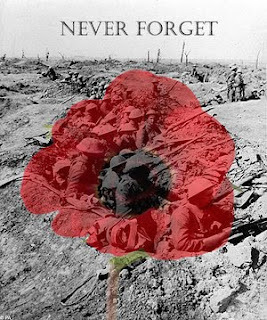 I am not sure if I feel ready yet, then again I have a few days left to ponder and put a plan into action. We mailed off the first of our parcels yesterday... sis thats you. 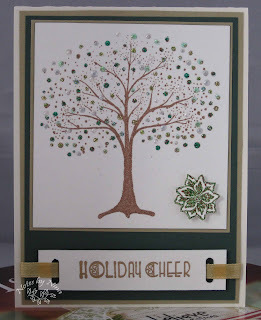 Every year my Stampin' Up! 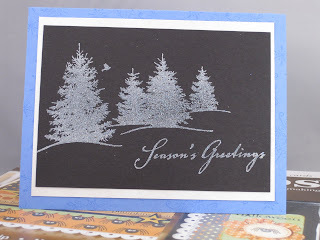 consultant let us go to her house and make a choice of about 6 cards for a small very small fee for each.. this one $1 each I should have made more then 5 me thinks. 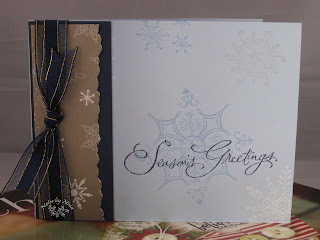 No peeking, these cards are mailed and I hope they have been received before anyone see that they are blogged :). This photo is horrible, ever the critic I am . 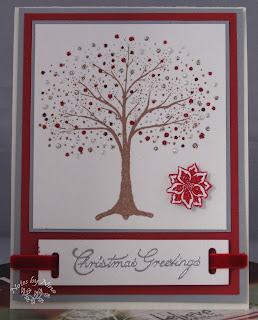 Why you say, because it makes my little dobs of Stickles look like globs and the little border of glitter does not show and it is all twinkly. 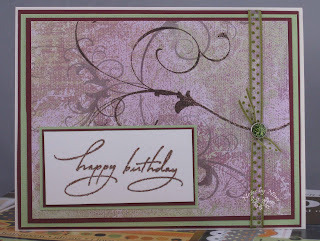 Same with the embossed pink layer at base level. Oh well, in real life and not digital it is very pretty if I do say so myself. 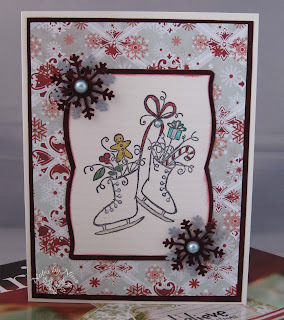 I started this card when I was not feeling very creative so when it all came together I was happy with it. I coloured the fairy’s dress with my Spica markers to make it all glittery, I used the clear Spica to outline on the embossed layer. Add some gems and voila. 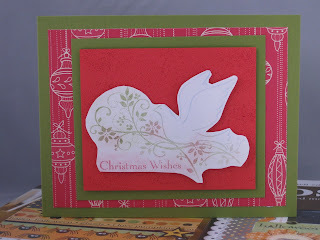 I am in Christmas card mode as well, I should be done this week. Fingers crossed, I will post them once they are in the mail. 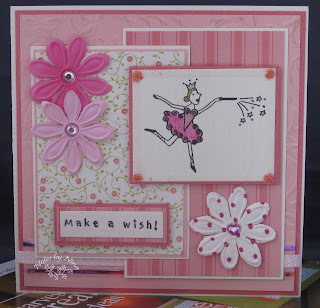 Supplies: Cream and pink cardstock, Designer paper – DCWV Nana’s Nursery Baby Girl, A Muse Stamps – Fairy Princess and Make a wish, Prima Sprites pink flowers, misc ribbon and gem embellishments, Stickles, Cuttlebug – Victoria Embossing folder. 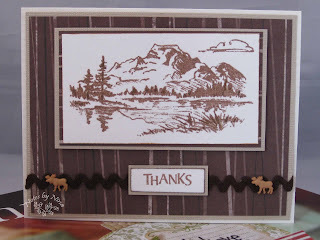 I think this is the last card I want to show from my last Stampin' Up! workshop. We uses a mask and different colours of ink with a brayer to get the night sky effect. 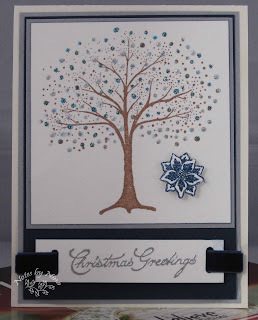 Supplies: All Supplies - Stampin' Up! Hello Monday morning. I had a fabulous weekend, it was my Birthday on Friday. I received a ton of wonderful Birthday wishes ☺.It felt like the whole weekend was one big extension of my birthday (the birthday cake fed us for three days). Minus all the embellishments of course. I did not have a space dedicated for my cardmaking but I have been given free reign of our office to pretty much turn it into my very own craft room. 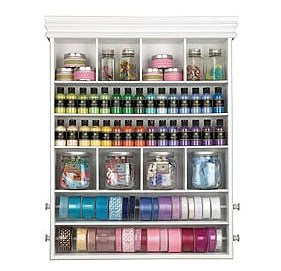 So we did a lot of looking for things like storage. It is all coming together. 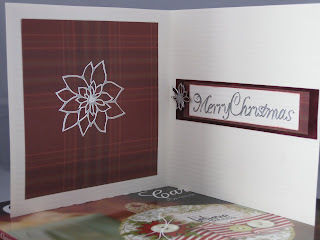 I did sit down to make a couple of cards on Sunday, but I can't show them for a couple weeks. People who should not might peek. I think I have a few in reserve though that I can post later this week. My blog is 1 year old now, my sweet sister designed it for me as my Birthday gift last year. 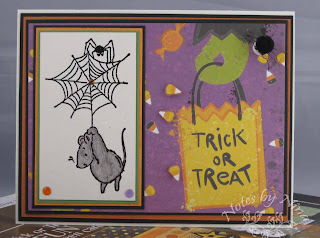 Blogger tells me I have about 207 entries and being it is rare for me to post without a card to show means I have posted around 200 cards. I don't remember making that many. For the inside (sorry no picture) I put two matching layered strips down either side, and put a popped up steering wheel in the middle. 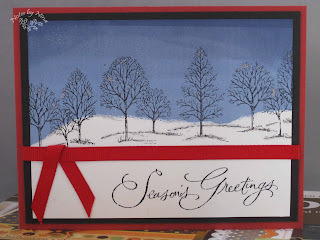 Supplies: Cream and Black cardstock, Designer Paper - Hot of the Press, Car clipart and font - Microsoft office, Doodlebug - Sugar coated brads. Stay with me, I am still riding the Halloween wave. 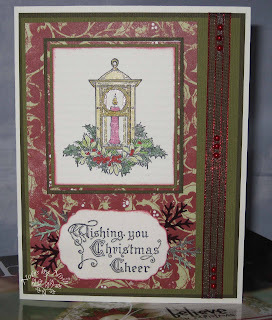 Well actually I am just behind but I am not quite ready to just into Christmas (although I have started my cards). 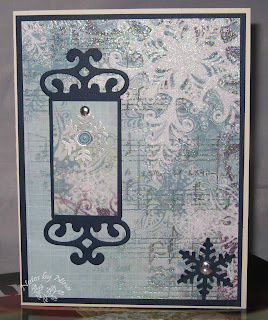 I love the little fuzzy spider up in the corner, it has the cutest little wire legs and beaded eyes. 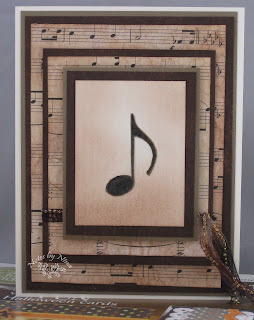 I love this card, I definitely wanted to make a music themed card for my brother in laws birthday. Little snippets of ideas formed in my head over a week long period till I decided my plan of action. I don’t have any DP that is a music sheet so I decided to make my own. I printed off a music sheet of Happy Birthday for piano? 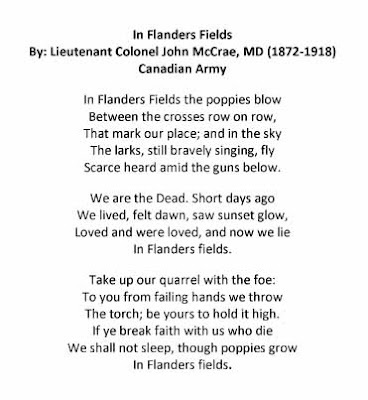 I could not find one with lyrics attached. I wanted the paper to look aged so I soaked the whole thing in tea, the first time I did that I only soaked it for a short period as I did not want the paper to fall apart. 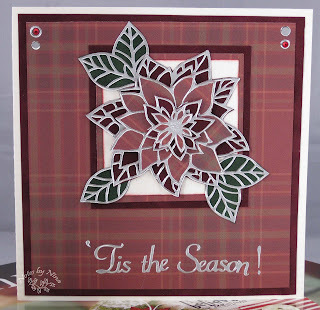 I used my embossing heat tool to dry it to give it a roughed up look. I did not think it was dark enough so the second time around I used a wet tea bag (Thank you Celestial Seasonings Tea – Morning Thunder) and ran it randomly over the paper, this time after it dried it worked perfect. 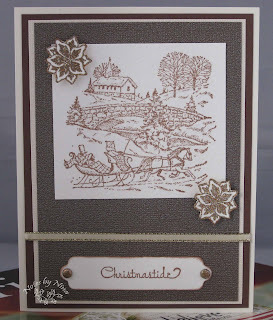 I then sponged the edges with a few shades brown ink to give it a more aged look. I did not want to take away from my proudly created DP so I left the adornments down to a simple ribbon with a gold filament in it. 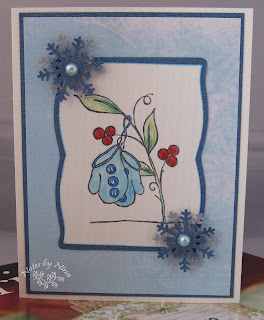 I had such fun making this card. Have a Fabulous Birthday Miles!! 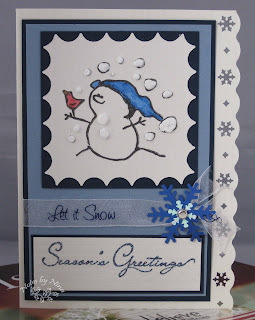 This is another card from my last Stampin' Up! gtathering, the technique was using versamark and chalk to make the image different colors. Apparently I am not so good at that. I also am not qualified to cut anything out free hand, even more so when I don't have my own tools. Halloween tomorrow:) Pancake breakfast at work today... Jeans Day... TGIF. 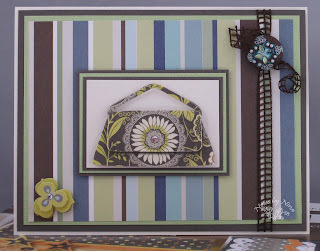 I made this quick card for an upcoming birthday, I love the dimentional K&Company purses. 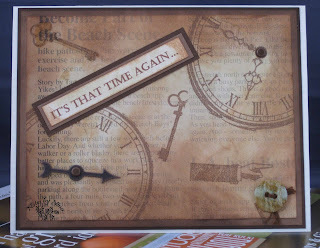 I love this stamp set, this is a card we made during the last Stampin' Up! workshop I attended. 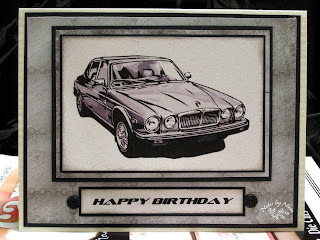 This was a quick and easy birthday card that was fun to make. 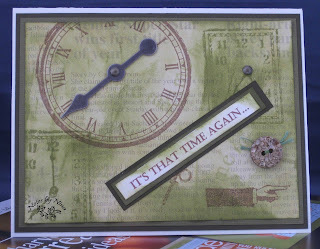 Supplies: Cream, burgundy and green cardstock, Designer paper-Memory Box Sprout, Stampabilites-Happy Birthday 10, Recollections Gemstone Brad, misc ribbon.